Jef Gazley, M.S., LMFT, LPC, LISAC, DCC has practiced hypnosis and counseling since 1974 and is the owner operator of asktheinternettherapist.com since 1998. He is the author of thirteen mental health educational videos and self-help mental health DVDs, numerous hypnosis scripts available on CDs, and MP3 format-, and has written a book on Distance Counseling and another book on Tri-Brain Trauma Therapy, which is a theory he has developed. Jef is State Licensed in General Counseling LPC (license # 0023), Marriage/Family MFT (license # 0090), and Substance Abuse LISAC (license # 0046) in Arizona. (Mental Health License Verification - Counseling License Verification). He is also a certified hypnotherapist. He is a member in good standing with ASCH, the American Society of Clinical Hypnosis, the International Society of Hypnosis, the National Board for Certified Clinical Hypnotherapists, the American Psychotherapy and Medical Hypnosis Association, and is a trained Ericksonian hypnotherapist. He is dedicated to guiding individuals to achieving a life long commitment to mental health and relationship mastery. In his private practice in Scottsdale, Arizona, Jef specializes in ADD (Attention Deficit Disorder), love addiction, hypnotherapy, dysfunctional families, co-dependency, trauma, and gay and lesbian issues. 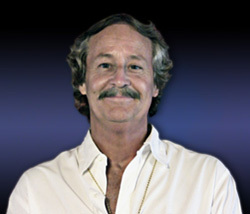 He is a trained counselor in EMDR (Eye Movement Desensitization and Reprocessing), NET (Neuro Emotional Technique), TFT (Thought Field Therapy), hypnosis, Applied Kinesiology, and Touch For Health. Jef received his B. A. in Psychology, History, and Teaching from the University of Washington and his Masters in Counseling from the University of Oregon. He is available for email online counseling sessions and traditional face-to-face counseling in his office in Arizona. Office address and phone: 6540 E. Kelton Lane, Scottsdale, Arizona (866) 998-0560.